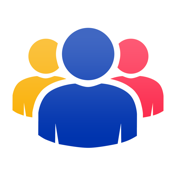 PhoneBook - it is an application to manage your contacts, that will make your address book neat and easy to use. 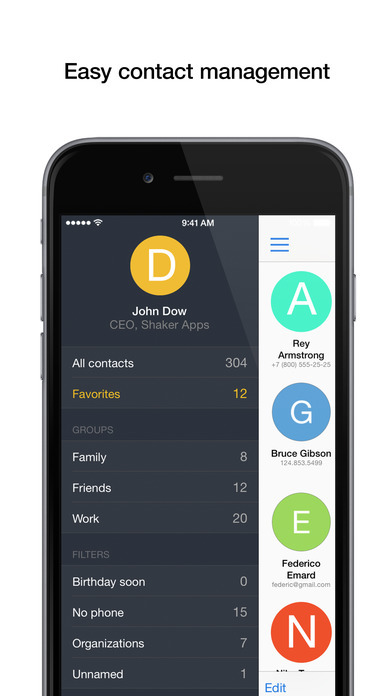 The app will find all the duplicate contacts, contacts with the same phone numbers or email and similar names. Before clearing you can preview result of the merging and manually select the contacts. 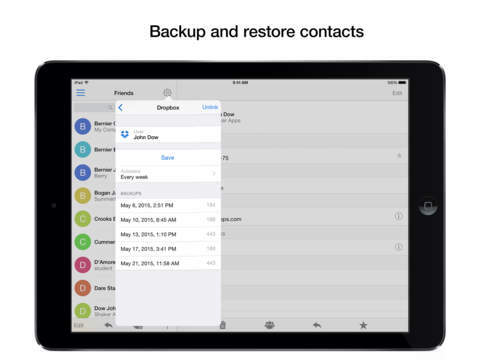 Backups can be sent by email or transferred to your computer via iTunes. 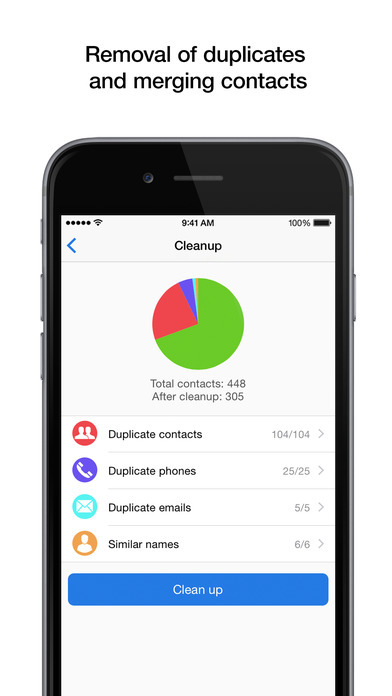 You can restore all the contacts at once, or manually selected contacts. 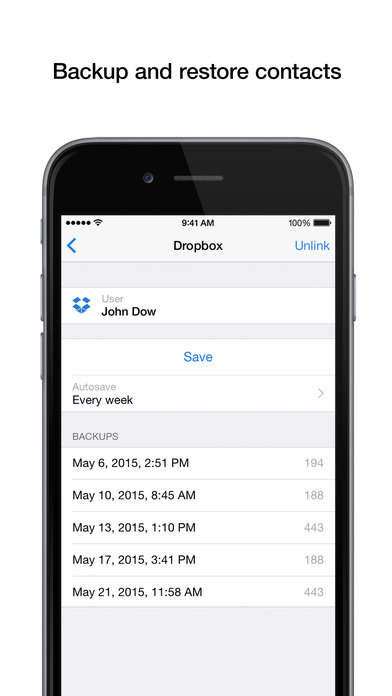 You can connect your Dropbox account and automatically save contacts on a schedule. You can bookmark the phone numbers or emails. Available the appropriate action: call, send a message or email, call by Facetime or send a message in WhatsApp. + Widget with your favorite contacts in Notification Center.